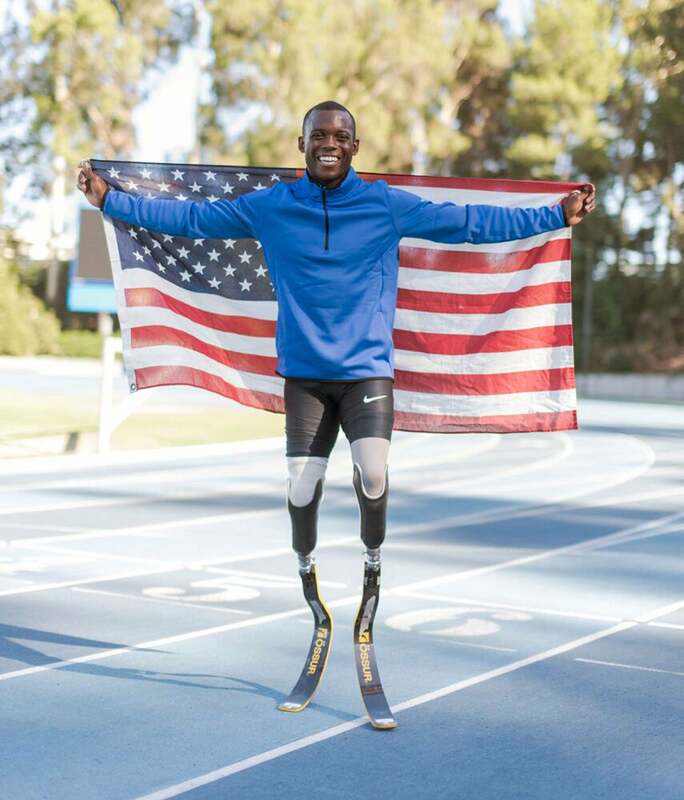 On Tuesday night, Blake Leeper‘s cell phone rang with news that left him speechless. After a two-year suspension from competition, Leeper, who was born without lower legs and began using prosthetics as a toddler, learned that he’d qualified to run against non-disabled athletes in the USATF Outdoor Championships. Leeper’s appearance at 10:46 p.m. E.T. Thursday in the 400-meter marks the first time a double-amputee has ever competed at the U.S track and field championships. The news comes as a welcome twist for Leeper, who tested positive for a metabolite of cocaine that he reportedly used at a party and was suspended in June 2015 from competition for two years. The 27-year-old runner, who earned a silver medal in 400 meter behind Oscar Pistorius at the 2012 London Paralympics, found himself in the middle of a drama last August after his two-year ban was reduced to one year by the U.S. Anti-Doping Agency. Leeper ended up qualifying for the Rio Paralympics, setting a new American record in the 200 meter and the 400 meter. In the 100 meter, he took a silver medal, despite losing his prosthetic leg and flying airborne across the finish line before crashing to the track. The International Paralympic Committee ended up appealing the one-year ban to the Court of Arbitration for Sport, which eventually ruled to uphold the original two-year ban – and Leeper was prohibited from competing in Rio. Leeper has long dreamed of breaking Oscar Pistorius’s world record time in the 400 meter and competing in the Olympics. If he makes it to the finals and finishes in the top six, he’ll become part of Team USA for this year’s track and field world championships in London. Whatever the outcome, Leeper’s appearance at the championships in Sacramento, California, which runs Thursday to Sunday, is bittersweet. Weeks ago, Robert Lorsch, the L.A. philanthropist who stepped forward after his suspension to cover the young athlete’s living and training expenses, along with his legal fees, died.